Barcelona is a diverse city, from the people to the architecture, and nowhere is that better reflected than in its varied neighborhoods. The city’s neighborhoods include the charming, narrow streets of the Gothic area; quirky and edgy El Raval; and verdant and peaceful Sants-Montjuïc. Regardless of whether you want to be in the center of the action, stay near an artsy hotspot, or have close access to the mountains for outdoor adventures, you’ll find your place. 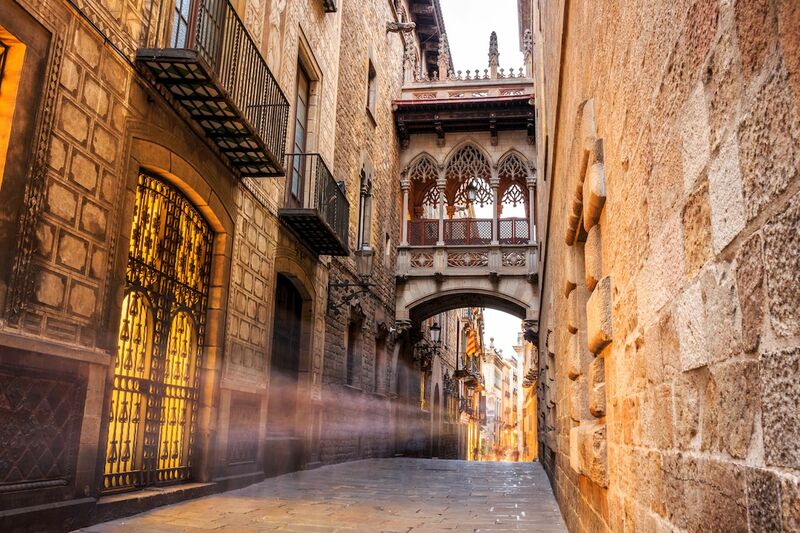 Barri Gòtic – Barcelona’s Gothic Quarter is where you’ll find the charm and essence of the city. The narrow streets with small balconies and cobblestones will take you back in time, as well as satisfy the craving most tourists have about seeing Barcelona as it appears in all the pictures. Las Ramblas is the city’s most popular stretch, so the best time to stroll here is early in the morning before most tourists are awake. Drop by Carrer del Bisbe and take a photo of the iconic bridge bathed in the soft morning light. You’ll get lost a lot in the Gothic Quarter because all of the streets look the same, but don’t panic — just enjoy the walk and remember to look up to see the locals chilling on their balconies. 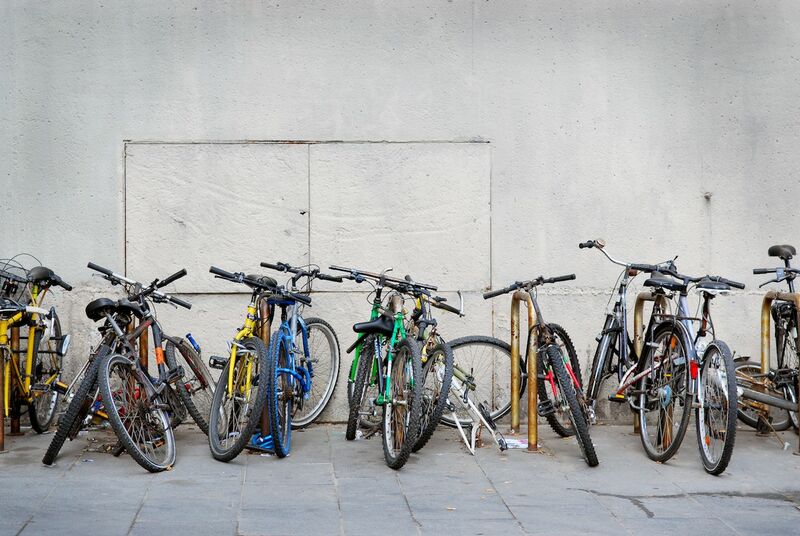 El Born – Back in late Medieval times, this neighborhood was a coastal haven for aristocrats (several buildings date back to that era), but now it’s mainly a favorite area for artsy hipsters. 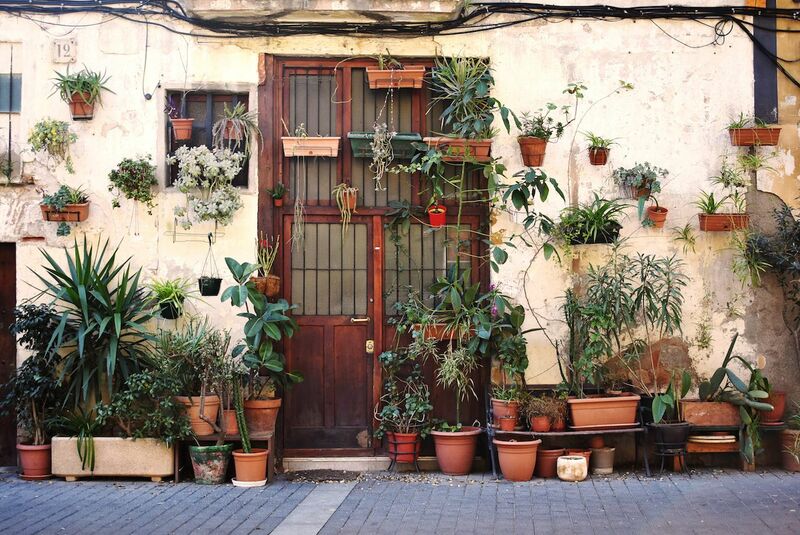 If you’re into small galleries, vintage boutiques, and trendy tapas bars, you’ll feel right at home in El Born. 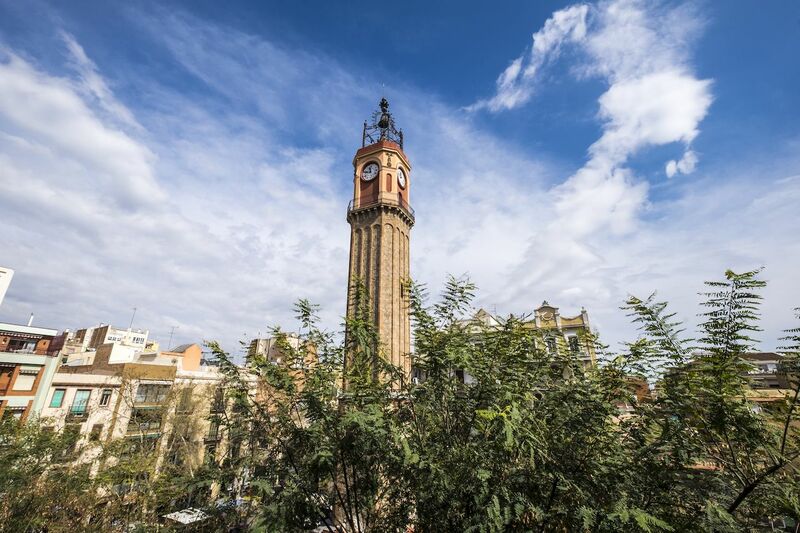 El Raval – Not too long ago, locals would have cautioned tourists from visiting El Raval, unless you were looking for a debaucherous, shady party scene. But the once gritty neighborhood is now attracting young people looking for affordable rent and an edgy, up-and-coming scene. You’ll find hole-in-the-wall restaurants, skaters hanging out on the steps of the Contemporary Art Museum, a ton of graffiti and street art all around, and, best of all, hardly any tourists. If you decide to commemorate your trip to Barcelona with some ink, Siha Tattoo in El Raval is one of the best places to do it, and the artists are all too happy to talk design. Gràcia – Hilly, upscale Gràcia is significantly more expensive than most other neighborhoods in the city center and is almost exclusively inhabited by locals (and expats trying to look like locals). While the area may be well-manicured, it’s anything but stuffy. Stay here if you want to get a feel for Barcelona’s urban-chic life, with a strong emphasis on wellness. Yoga studios are very popular in the area, as are organic grocers, sushi joints, and vegan cafes. Gaudí’s colorful Park Güell is definitely the most famous sight in the neighborhood, and it offers the best views of the city from above. At night, Gràcia’s Cuban bars stand out against the many beer and tapas spots. Join a free salsa class at Gracia Latina or El Cubano, then cool off from all that dancing with a refreshing mojito. 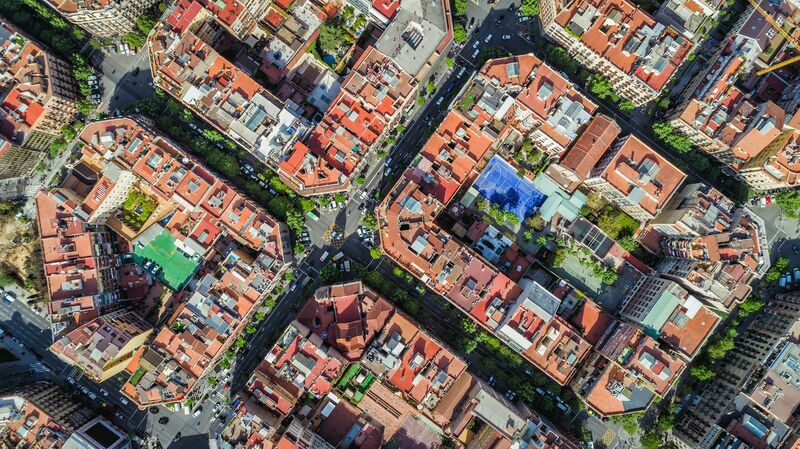 Eixample — Known for its modernist architecture, this is where Barcelona’s urban pulse can be felt most strongly. This neighborhood is a mix of whimsical architecture (represented by Gaudí’s La Pedrera), sleek office buildings, swanky retail stores, modern art galleries, and museums. Check out the Fundació Antoni Tapies to view the abstract work of the late Spanish painter and sculptor. Or, visit the Museo del Perfume to see perfume bottles through the ages. 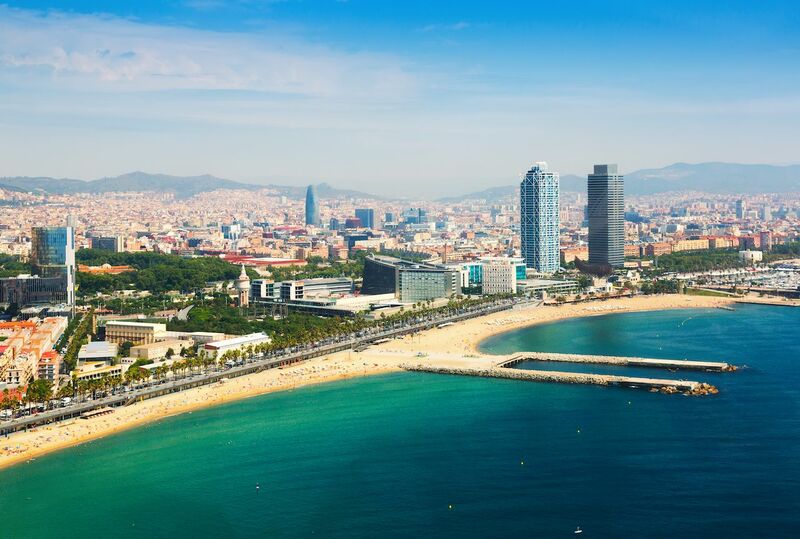 El Poblenou — This seaside neighborhood was the site of the Olympic Village in the 1992 summer games, and that boom in investment translates nowadays to an extremely desirable neighborhood, especially for millennial families. It has a stellar location, just far enough from the busy city center to have some peace and quiet — while still having a lifeblood. Also, being next to the beach never hurts. Wander down the Rambla del Poblenou and stop for a beer at 100 Montaditos. Then, satisfy your sweet tooth at Chocolat-Box, which sells both handmade chocolates and chocolate-infused olive oil. Don’t be totally fooled by the chill vibes though, because this neighborhood is home to one of the loudest clubs in town: Razzmatazz. The former warehouse building now has five different rooms where you can find anything from electronica to hip-hop to deep house music. 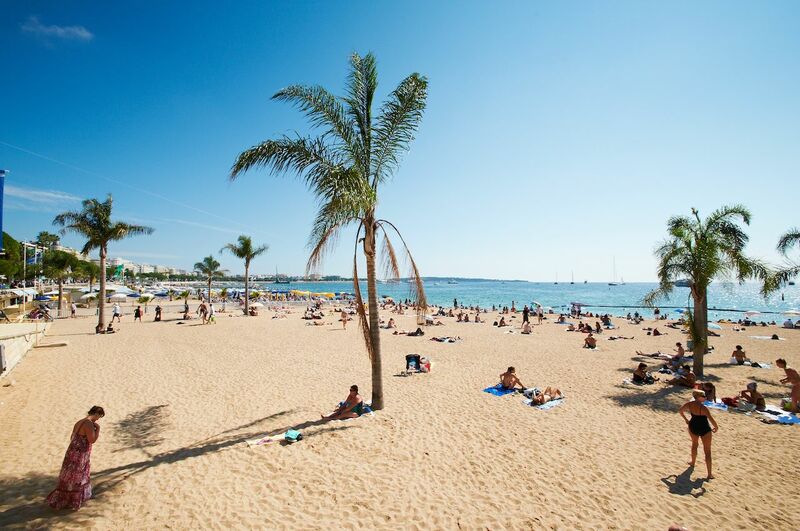 Barceloneta – Barceloneta’s pervasive beach culture is a paradise for tan addicts, rollerbladers, and volleyball enthusiasts. Bike down the boardwalk, have a volley at Nova Icaria, then go for a swim in the bath-like water. While we wouldn’t recommend staying there because it can get crowded and pricey, you won’t find a better neighborhood to party in at night. Partiers come from all around the world to throw down to some reggaeton, and they have an entire row of beachside clubs to choose from, starting with Shôko and ending with the W Hotel. While many offer free entry, expect to pay 12 euros for those vodka Red Bulls. Sants-Montjuïc — This is one of the most underrated neighborhoods in town, especially for those that are happiest surrounded by nature. The most prominent attraction here is Plaça d’Espanya, a lush square with fountains in front of the Museum of National Art that comes alive with music and color during summer nights. There are also many parks and gardens to escape to if you need a break from the city center chaos. 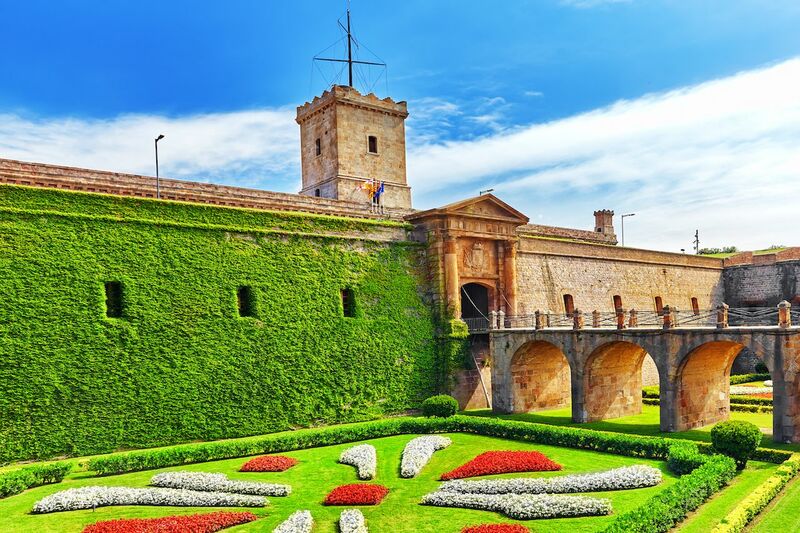 Head up from the museum toward the Jardins de Joan Brossa, or climb your way up to the Montjuïc Castle and observe the city grid from above. Any of these green spaces are ideal for a picnic, jog, reading a book, or even for a much-needed siesta. Sants-Montjuïc also has an affordable municipal pool where you can tan and swim for a whole day if you don’t like sand, saltwater, or waves.